Discover more about your ancestors by learning approximately when a particular ancestry entered your family tree in a new feature called Ancestry Timeline. 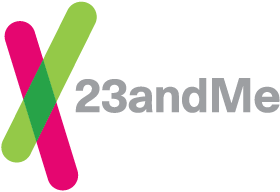 This feature, located within the Ancestry Composition report, was made possible through pioneering work by 23andMe Research Scientist Kasia Bryc, whose previous research provided insights into the American melting pot. The Ancestry Timeline feature analyzes the pattern of ancestry in your genome by looking at both the number and size of segments that came from a particular ancestry as well as their distribution across your chromosomes. Large segments of ancestry in your genome that all come from the same population suggest a recent ancestor, while shorter segments suggest a more distant one. It is important to note that the Ancestry Timeline algorithm makes a notable assumption—that each ancestry was inherited from a single ancestor. For individuals from highly admixed populations, including Latinos and African Americans, the assumption that all of your ancestry from each population comes from a single ancestor may not be true. Since the Ancestry Timeline feature uses only your DNA-based Ancestry Composition results and the pattern of ancestry in your genome to estimate when an ancestry entered your family tree, there are few key points you should keep mind when viewing your Ancestry Timeline. Ancestry Timeline speaks to an ancestor’s genetic ancestry, and says nothing about where a particular ancestor was actually born. As an example, a British & Irish ancestor born in Philadelphia would look the same as one born in Dublin. Ancestry Timeline makes an assumption that each ancestry was inherited from a single (recent or distant) ancestor. For individuals from highly admixed populations, including Latinos and African Americans, the assumption that all of your ancestry from each population comes from a single ancestor may not be true. In theses cases, the estimated number of generations for that ancestry should be used as a place to start rather than a definitive answer since the estimation may be more or less recent than expected. Ancestry Timeline is based on your Ancestry Composition results. This means that ancestry labeled as “broadly” rather than assigned as a regional specific population (such as French & German), may result in a date that is estimated as older than the actual number of generations. Ancestry Timeline does not update its estimations if a user connects with a parent. Ancestry Timeline continues to make the assumption that each ancestry was inherited from a single ancestor. Ancestry Timeline does not use the X chromosome(s) in the calculations. This is because the X chromosome has a different inheritance pattern than chromosomes 1 through 22. In figuring out which ancestors a particular ancestry may have been inherited. To help piece together the history of their likely migrations. You can find out more ways to use this feature, by checking out our blog post. When viewing your Ancestry Timeline, start on the left and work your way back in time as you move to the right. The estimated generation is presented as a range to allow for the randomness of how DNA segments in one person’s genome are passed down from an ancestor. If you are using a desktop or laptop computer, you can also see the estimated birth year for each generation. This translation from generations to dates may be helpful in providing a timeframe for events in your family history. The generation birth dates are determined using the birth date you listed in your profile and an average generation time of 30 years*. It’s important to note that this generation length represents a population average and may not be accurate for your personal genealogy. To print your Ancestry Timeline, click the Print button in the upper right corner of the page. *Population geneticists have estimated that the number of years, on average, between the birth of an individual and their child’s birth is about 29 to 30 years. This estimate seems to be accurate even going back in time hundreds or thousands of years. The Ancestry Timeline algorithm assumes that each ancestry was inherited from a single ancestor. For individuals from highly admixed populations, including Latinos and African Americans, the assumption that all of your ancestry from each population comes from a single ancestor may not be true. In these cases, the estimated number of generations for that ancestry should be used as a place to start rather than a definitive answer since the estimation may be more or less recent than expected. You can explore the estimations provided in Ancestry Timeline by looking at where each ancestry is located on your genome in the Chromosome Painting feature.